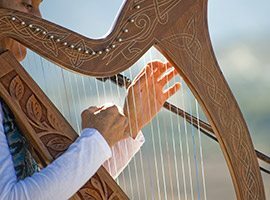 Enjoy folk, popular, and classical music from a variety harps. The Valley Harpers are led by Beverly Colgan, Principal Harp of the Reno Philharmonic. The lounge is open to the public during this time.